We have large square bays in bedrooms with four inward opening windows. There is no space above the window to fit a track, so it must be fitted to the ceiling. Where and how would you do this, bearing in mind the ceilings are plaster and lath. I do understand your concern with fixing curtain tracks to old lath and plaster ceilings. However unless the ceilings are trully dreadful you will be fine. The way I approach this kind of ceiling construction is to hold the track up to the ceiling where it is going to fit. Then using a power screwdriver I drive the screws directly in through the hole in the brackets. I don't drill and plug before I do this. With lath and plaster there is nothing to really drill. Most of the time I hit the wooden laths. These will support medium weight curtains usually with no problem. What you will find often is on the sides of the bay in the ceiling is timber. Usually there is a wooden beam running across the front of the bay. This is where the end brackets are that carry the most weight. That is when you have the curtains stacked back off the window. The brackets across the main front of your bay don't have to fixed as securely as the sides. These brackets don't carry as much weight as the side brackets. Obviously there is a limit to how much weight they will carry and I would advise not hanging very heavy curtains. If you find an odd bracket that won't secure as well as you would like. 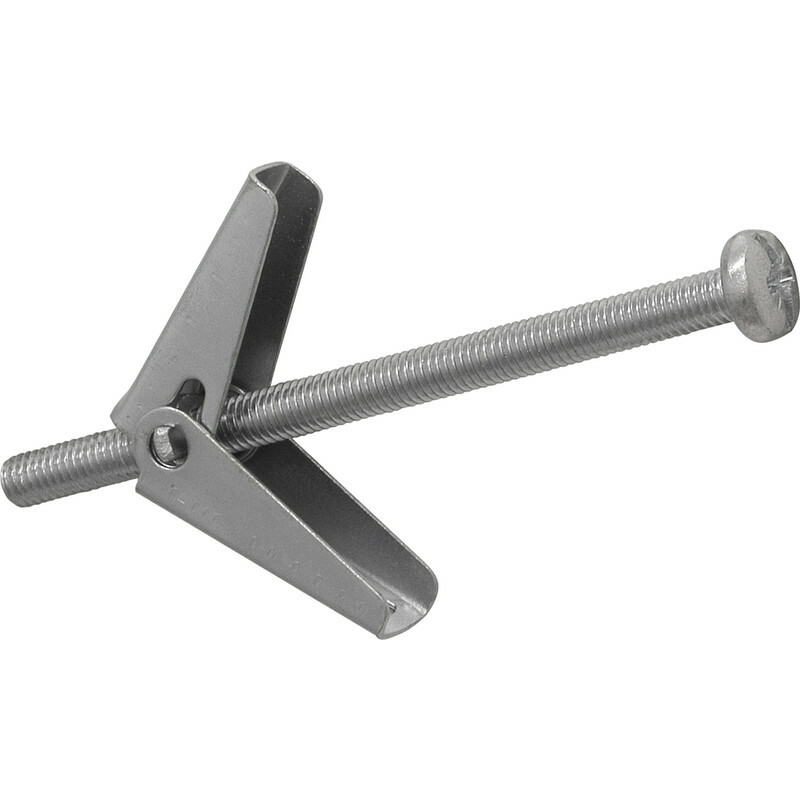 You can then try using an umbrella toggle bolt, or sometimes known as simply toggle bolts. These are bolts with little spring opening arms that pop open when pushed through the hole in the ceiling. You can buy these at most diy stores, or Screwfix or Toolstation. When it comes to using these umbrella bolts. I usually just wriggle a screwdriver where the screw hole is to make the hole large enough. Another benefit of ceiling fixing your curtain track. 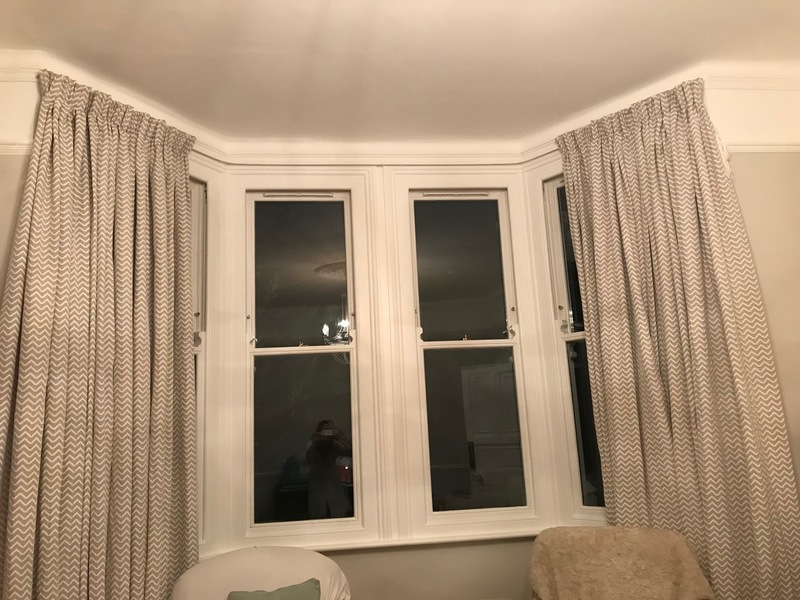 Is to avoid your curtains catching on the open windows or even the handles when opening and closing. You fit the track within reason far enough away from the window. You can also have the ends curve back to the wall on each side to close the gap. If you send me a couple of photos of your bays. I will have a look and let you know what I think. I hope that helps you make your mind up.